Become a voice of hunger advocate and help us fight for fair food policies. Long-term hunger relief requires public policy intervention and systemic change. 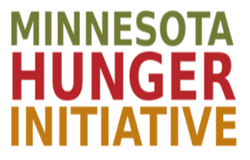 The Voice of Hunger Network is a citizens’ network working to end hunger in Minnesota by motivating decision-makers to take supportive action on state and national hunger policy issues. 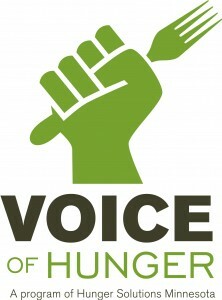 You can bolster the self-sufficiency of hungry Minnesotans and create the political will to end hunger by joining the Voice of Hunger Network. We host Hunger Day on the Hill every legislative session. Here you will have the chance to stand up for your hungry neighbors and call for robust nutrition programs.